Through a partnership with Northwest Arkansas Community College, the Stephen M. Percival Adult Education as Fayetteville Adult Education is pleased to offer its students the opportunity to enroll in Emergency Medical Responder (EMR) training. Enrollment in the EMR course is also open to members of the general public. The U.S. Bureau of Labor Statics (2018) indicates there is a 15 percent projected increase (much faster than average) in employment from 2016 to 2026 in the field of Emergency Medical Technicians (EMTs) and paramedics. Emergency Medical Responders are typically the entry level position to the Emergency Medical Services (EMS) career. The EMR course follows the National Standard Curriculum guidelines set forth by the Department of Transportation (DOT). The course is designed to provided training in emergency care for those who will be responding to emergency calls or who have a job that may require emergency response to the sick and injured. This course will provide students with the knowledge of what to do during an emergency until the ambulance arrives and how to assist after ambulance arrival. Designed for those interested in providing care to patients in the pre-hospital setting, the course will provide the participant with opportunities to gain information, skills, and attitudes necessary to respond to emergencies. The EMR course is a prerequisite to the EMT Basic course, EMTA 1004 and EMTA 2004. Students who complete the EMR course will receive CPR certification from the American Heart Association. The American Heart Association CPR Certification is OSHA compliant. 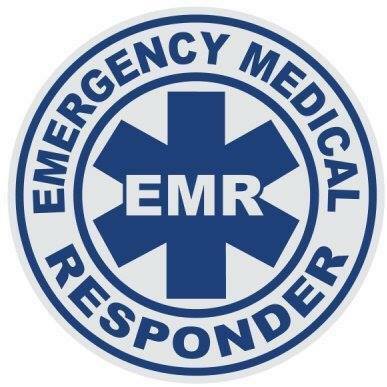 In addition, students who complete the EMR course may apply for Emergency Medical Responder Certification. Complete the adult education intake form; Meet all TABE requirements; Meet Fayetteville Adult Education’s requirement for managed enrollment classes; Follow all policies and procedures outlined in the program’s current student handbook; Complete Northwest Arkansas Community College’s enrollment process; Follow all policies and procedures outlined by Northwest Arkansas Community College; and Attend all EMR classes. *Please note: FAE students will be required to sign an agreement that states the student will meet the above requirements. If a student fails to meet these requirements or fails to complete the course, the student becomes responsible for all tuition and fees associated with enrollment in the EMR course. Additional information and registration will be available January 2019.